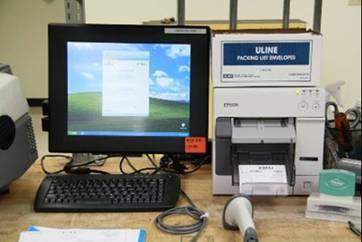 Retail Pro® completed this week the certification of the TM-C3400 ColorWorks printer for use with their Retail Pro v9 to produce on-demand color labels and tags. If you don’t know, for over 20 years Retail Pro®, http://www.retailpro.com, has been providing specialty retailers with cost-effective, robust and extremely agile retail management solutions. It is now a leading international point of sale and retail management software provider recognized for the flexibility and scalability of its products, as well as globally local support delivered through an extensive network of business partners with over 90 offices across the globe. Retail Pro’s solutions manage billions of transactions annually in more than 52,000 store locations worldwide, in 84 countries, and 18 different languages. 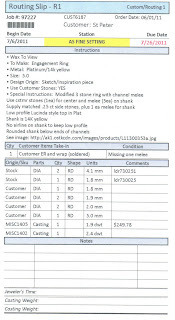 With the document designed in Retail Pro, retailers can create labels and tags; and then print them as required, eliminating preprinted label inventory and simplifying their work processes. Talk to your retail customers about using Retail Pro for on-demand color labels and tags. Do you have customers such as bakeries using preprinted labels like the ones in the pictures below? Then you have a great opportunity! “When I saw all of these preprinted labels, I thought of you and the TM-C3400” says Ross Check of Heartland Label Printers. 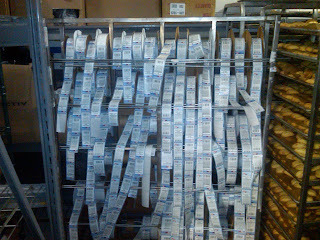 Thanks to Ross, I visited a bakery using over 1,000 preprinted labels a day. If you don’t know, Heartland Label Printers Inc. was founded in 1990 with the goal of manufacturing quality stock and custom printed labels. 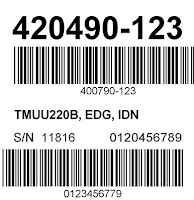 Since the founding, Heartland has grown into a nationally recognized company shipping labels through a broad spectrum of resellers to all points of the United States, Canada and the Caribbean. Recognized as one of the fastest growing privately owned companies in Wisconsin, Heartland’s goal is to provide customers the finest label media possible, great value, and timely service. What is interesting about this bakery was the current process to label products. With hundreds of different bake goods, each product required a label with a logo; either their own brand or one of the many OEM customer’s brands. In addition, each of the products required a label with the list of ingredients regardless of the brand. Finally, many of their products required a “best when used by” date label. With up to 3 labels for each of their products, the baker spends a great deal of labor applying labels to each of their products. In addition, it is easy to make mistakes when applying up to 3 different labels on hundreds of similar products. the baker can create new label formats easily for each of their various SKU’s. 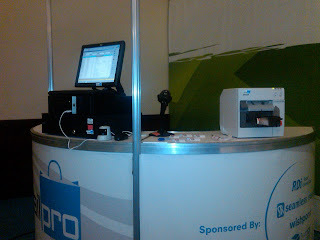 Then, the operator can print from Bartender exactly the one label required for each product on their work orders. “With orders coming 24 hours per day, it is important for this baker to print and ship as fast as possible. Also, the bakery will now have a potential new profit center; offering private branding to their entire customer base of grocery stores, restaurants, and other bakeries” says Ross. If you have bakers or other customers with lots of products, be sure to talk to them about on-demand color labels. Bake Sweet Successes for your customers and you! This week, I met a perfect manufacturing prospect thanks to John Cook of Premier Electronics http://www.premierelectronics.com/ . Premier Electronics is a supplier of leading edge technology solutions, providing barcode scanners and printers, RFID, warehouse management systems (WMS), data collection, asset tracking and inventory control devices. This prospect shows how VAR’s like Premier can sell a variety of solutions to manufacturers; you just need to show them ideas on how color labels will benefit their operation. With John, I met a parts manufacturer who provides OEM parts to the major vehicle companies as well as store brands to auto part retailers. Because of these various channels, this manufacturer labels the identical part number with more than 10 different brands. Currently, this manufacturer picks the products, moves them to a location to print a preprinted label with variable data and then packs the parts for shipping. As this process is cumbersome, involves handing the same item several times and requires a large inventory of labels, the manufacturer wants to move to a mobile, on-demand process. They want to begin using power carts, handheld computers and the TM-C3400 label printers to produce and place color labels on the parts during the picking process. During our discussion, something else occurred that I wanted to share with you. 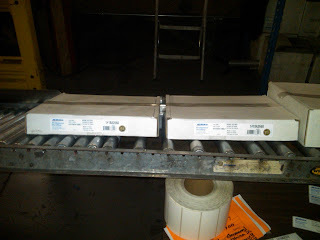 While on the call, I referred to the Tubelite success story and how this manufacturer improved their shipping process. If you have not seen this story, contact me! In addition, I reviewed to the results from P.I. Components to improve their shipping process. Please see the earlier blog post on this end user. After this discussion, the manufacturer began brainstorming how color could improve their shipping processes also. Currently, they print black-only text shipping labels. Although they have a limited number of miss shipments, sometimes the manufacturer stages pallets incorrectly, that could get loaded on the wrong trailer. 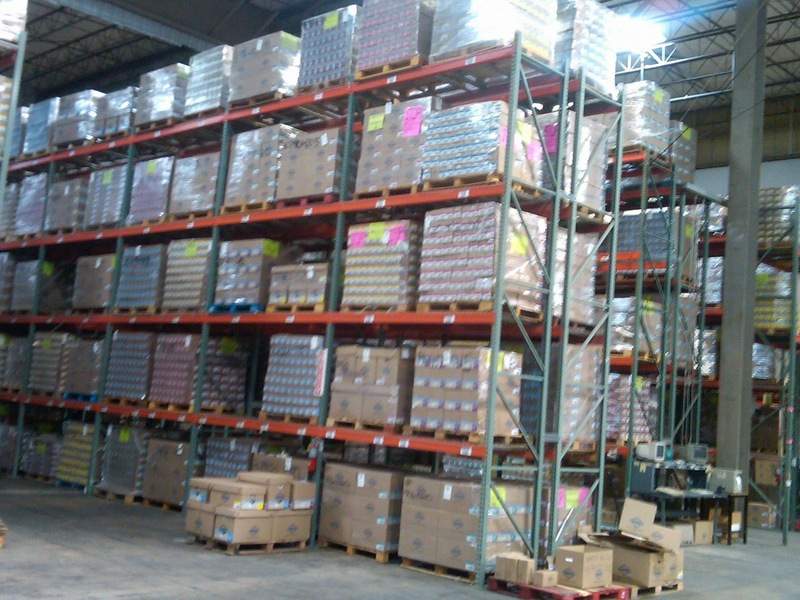 By using color to stage pallets, this prospect could insure all pallets are staged and loaded correctly. In addition, this manufacturer uses a variety of freight companies who cross dock pallets. By adding color, the prospect believes their freight suppliers may improve their internal cross docking process, reducing errors and improving delivery accuracy. Based on the results with this manufacturing prospect, be sure to discuss on-demand color for improving not only manufacturing processes, but also for improving logistic processes as well. You can help your customers with an innovative new solution; and help your business as well. I thought you may find the enclosed press release of interest. The TM-C3400 was initially targeted at healthcare with pharmacies one of the important customers. By suggesting on-demand, color labels, you can help your healthcare customers with a totally new solution. New Orleans, LA, December 4, 2011 – Epson America, Inc., a leading global supplier of inkjet printing technology, announced today at The American Society of Health-System Pharmacists (AHSP) Midyear Clinical Meeting and Exhibition that its SecurColor™ on-demand inkjet label printer is an ideal solution for hospital pharmacies looking to implement accurate and cost effective color labels for unit dose, syringe and IV bag labeling. 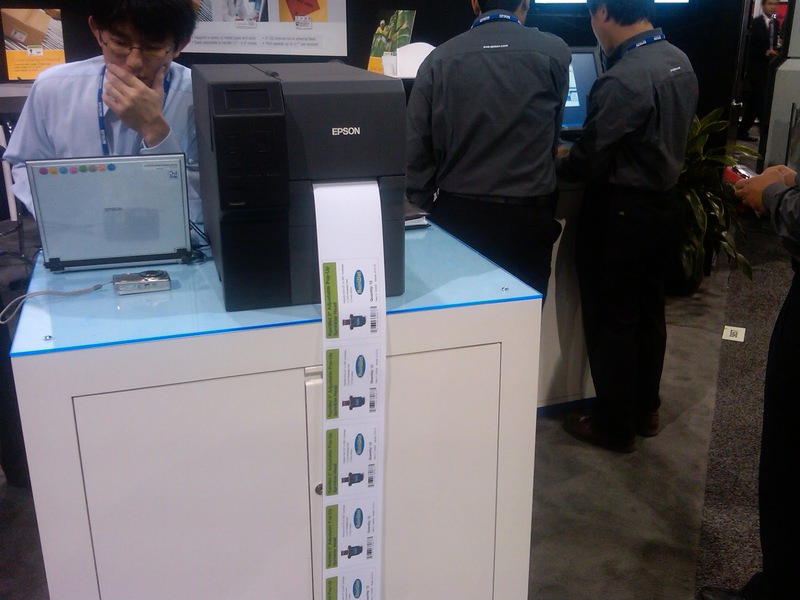 With a low particle-generating printer such as Epson’s SecurColor, hospital pharmacies can continue to comply with USP 797 standards -- which require compounded sterile preparations (CSPs) to be formulated inside laminar flow workstations within clean rooms -- while also improving patient care and minimizing the risk of human error. *The testing was conducted by James Wagner, President of Controlled Environment Consulting, in September 2011. The STAR Center is a stand-alone pharmacy process and environmental controls training facility located at the Baxa Corporation headquarters in Englewood, Colorado. For those of you who don’t know IAAPA, it is a very large tradeshow; with over 25,000 attendees from amusement parks, museums, zoos, waterparks, arcades and may other types of entertainment centers. 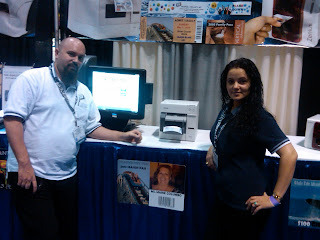 At the show, we demonstrated an entirely new product/market concept; on-demand color tickets and wristbands using the TM-C3400 ColorWorks printer and the new prototype printer currently called Egis or the TM-C3400 LT. Egis is an all-in-one durable terminal with Windows embedded OS and multiple interfaces. During the show, we found a significantly number of end users interested in producing either color tickets or wristbands on-demand; split approximately 50%-50%. 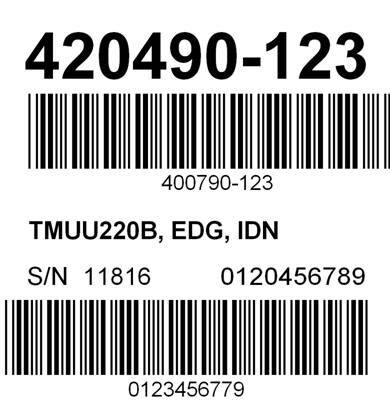 Most of these prospects said they had never heard of the capability to produce color tickets and wristbands like the ones produced by the TM-C3400. By offering a unique solution, on-demand color tickets and wristbands, you will provide your customers new ways to communicate to their customers, enable more flexibility in their ticketing operations and eliminate the requirement to inventory large qualities of valuable tickets. In addition, you will create a new on-going revenue stream for yourself. Contact me if you have any questions on producing on-demand tickets or wristbands; or if I can help you with your prospects and customers. PS: Congratulations to Joe Callis of Gatemaster Systems who won an Epson Artisan 730 printer. Joe won the printer as one of the ISV's and VAR's who came to the Epson booth to see on-demand tickets and wristbands from the TM-C3400. PI Components (PIC) (http://www.picomponents.com/) manufactures diaphragm seals for pressure instruments. It is a part of Rosemount, which in turn is a business unit of Emerson Process management. Emerson is a diversified global manufacturing and technology company and has more than 140,000 employees and approximately 265 manufacturing locations worldwide. 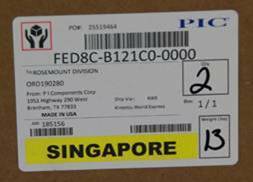 In their shipping department, PIC needed a new process to eliminate shipping errors. 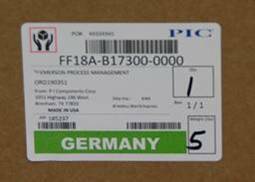 With similar looking products going to one of 8 different facilities, it was possible for operators to mistakenly ship the product to the wrong location. 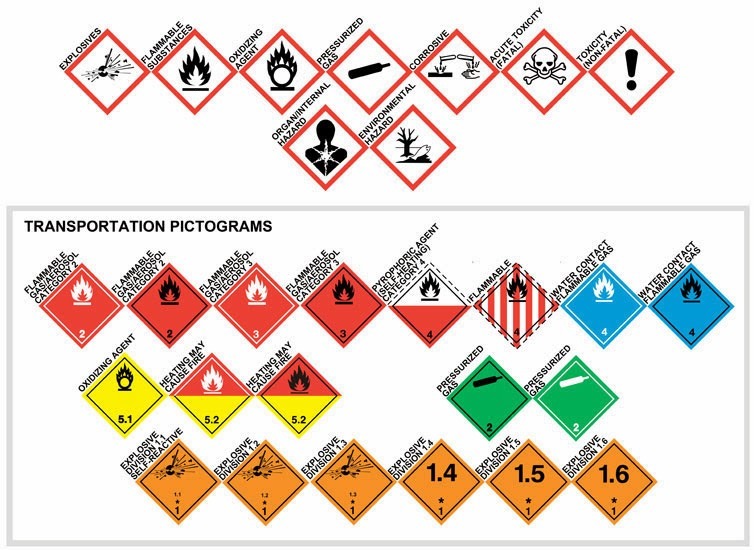 After considering their options, PIC decided color labels would be the easiest and most effective means to eliminate potential shipping errors. “Initially, we were told to use preprinted, color labels with our existing thermal transfer printers” says Miquel Lopez, Manufacturing Engineer from PIC. 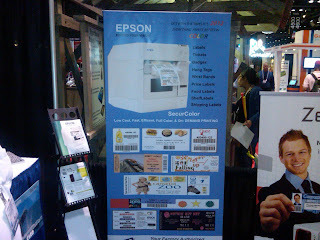 “However, we did not want to continuously change labels in the printers as well as add another potential error point in our shipping process.” Given the reluctance to use preprinted, color labels, Miquel started looking for on-demand color labels and found the Epson TM-C3400 ColorWorks printer. 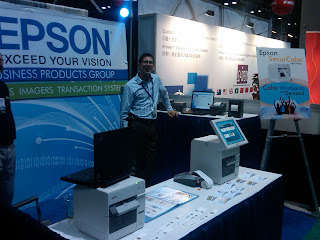 After reviewing the Epson website on the TM-C3400 printer (http://pos.epson.com/lp/epson-color-works/), Miquel contacted Epson and I provided him a printer to evaluate. With this printer, Miquel integrated the printer with their financial and shipping systems to add color on each label depending on the ship to location. Overall, it took about 2 months for PIC to complete the integration and testing of the solution to use color for each of their shipping locations. Help your customers stop shipping errors, saving them time and money, with on-demand color labels. Contact me if I can support you with your customers and prospects for this process. This week, I met the perfect prospect for color, on-demand labels. This company shows how on-demand color labels are good for both your customers; and you. Let me explain. 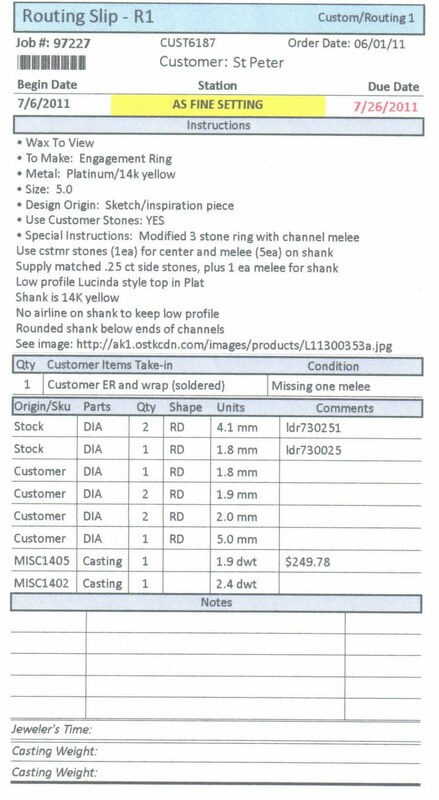 Recently, Home Depot, a retailer of Dura Plastic Products, provided them a “style guide” that required color labels. 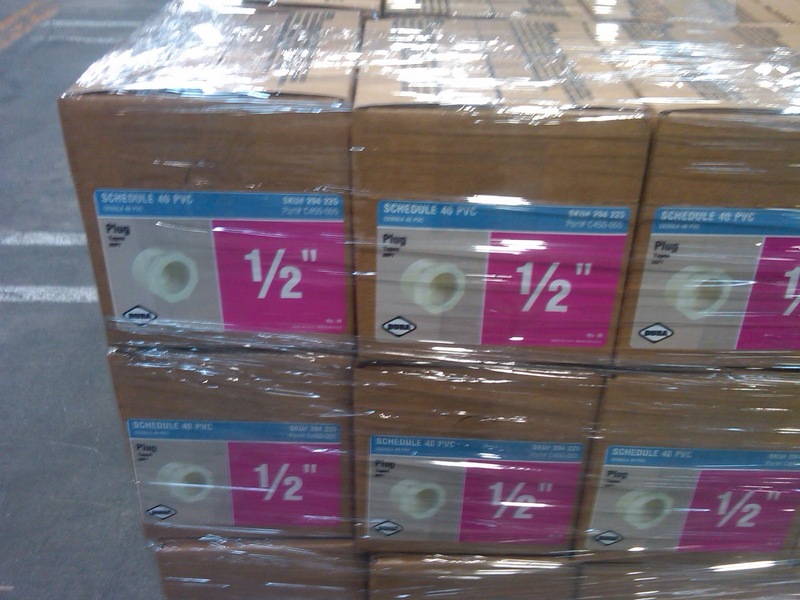 With over 200 SKU’s produced for Home Depot, Dura Plastic decided NOT to purchase preprinted labels. They did not want to maintain the expensive inventory of preprinted labels (1.1 million per year) as a result of large minimum purchase quantities for each SKU. In addition, they did not want to deal with the waste as labels become obsolete when content changes. Finally, they did not want to use the labor to pick and put away label inventory. Therefore, Dura Plastic decided to begin producing color labels on demand. After conducting research, Dura Plastic purchased two relatively large, expensive printers from another company earlier this year. 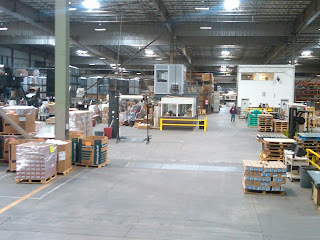 In addition, they built a 2 story print shop in the middle of the packaging area to print and store a small quantity of labels. Although committed to color, on demand labels, Dura Plastic has not been satisfied with their printers. 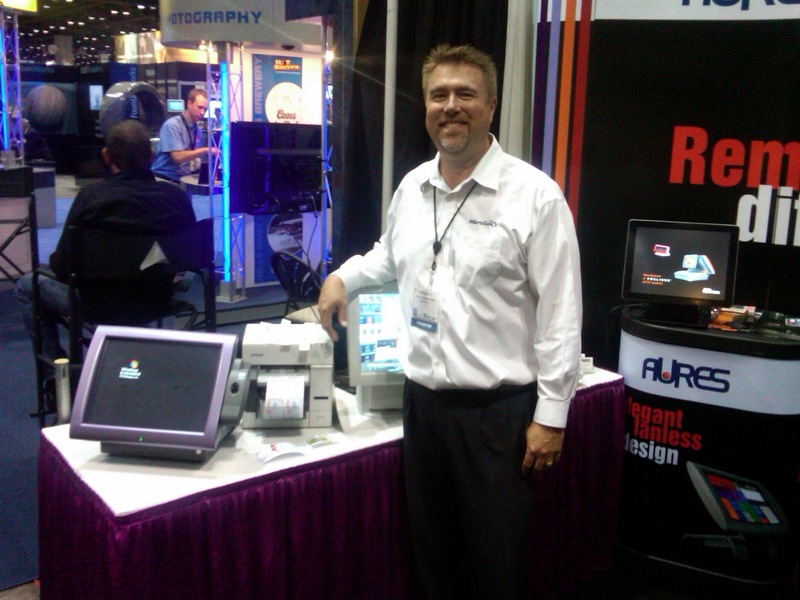 “We have had several problems with our new label printers” according to John Akamine, of Dura Plastic. “Although the service department of the company has been very supportive, we decided to look for a different on-demand color printer.” Given the situation, John attended Pack Expo in September where he saw the TM-C3400 printing in the Epson booth. Since the show, Dura Plastic has been testing the TM-C3400 ColorWorks printer; and is just now getting their first order of die cut labels to complete a pilot production run. 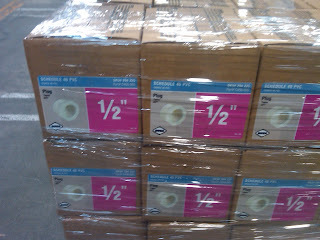 If successful, Dura Plastic will add several printers and purchase labels for their Home Depot SKU's. In addition, Dura Plastic is considering switching to on-demand color labels on the rest of their 3,000 SKU’s. With a large number of SKU’s and a requirement for color on their labels, Dura Plastic Products represents the perfect prospect for on-demand color labels. In addition, on-demand color labels will reduce their costs; the working capital cost of label inventory, the waste cost of obsolete labels, and the labor cost to pick/put away preprinted labels. Look for customers like Dura Plastic Products to sell on-demand color labels and the Epson TM-C3400 ColorWorks printer. You will not only help your customers, you will earn the revenue from the hardware, service and the on-going consumables. Feel free to contact me anytime to help with your "perfect" prospects. Would You Like New Business with Old Customers? Advanced Retail Management Systems (ARMS) is the leading provider of point-of-sale and inventory control systems for small to mid-sized retailers in the United States, supporting over 1,000 customers. For 25 years, ARMS has been helping retailers run their businesses more profitably. (http://www.armsys.com/). 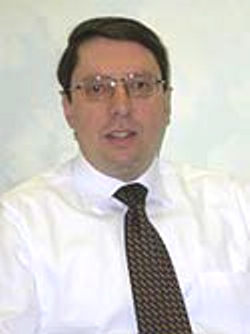 As the President of the Value Added Reseller and Integrator, Bruce Klepper, President, saw the opportunity for new business immediately with his existing customers with on-demand label and tag printing. To move forward with the opportunity, ARMS took a 3 step approach to test the on-demand label solution. First, ARMS tested the functionality of the TM-C3400. Using a demonstration printer, a technician from ARMS learned how to operate the printer. For ARMS to promote the TM-C3400, it was important to verify how the printer performed. Second, ARMS wanted to see the total on-demand solution run. At the recent Retail Pro Partner Conference, ARMS saw first hand, Retail Pro®V9 produce on-demand labels and tags. Be sure to check out my previous post for more information on this meeting. Third, ARMS arranged a supply and price of the media. As the TM-C3400 requires different media than traditional thermal transfer or direct thermal printers, ARMS felt the need to confirm the available supply of media. After a few emails with a label converter, ARMS had a supply of continuous glossy paper labels and paper tag stock. 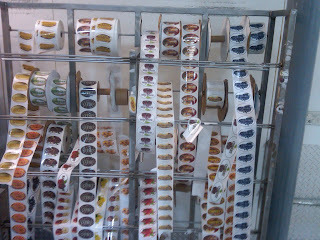 In addition, they gained an understanding how to order die-cut labels to meet the specific requirements of retailers. Although some may see the different media requirement as a negative, it may enable VAR’s like ARMS to sell more on-going consumables. You too can create new business with your existing customers; and maybe capture new customers at the same time by pursuing the opportunity with on-demand labeling. Contact me to discuss how I can help with your Marketing effort. Save the Bay (http://www.savebay.org/Page.aspx?pid=1435) protects, restores and improves the ecological health of the Narragansett Bay region of Rhode Island, including its watershed and adjacent coastal waters, through an ecosystem-based approach to environmental action; defends the right of the public to use and enjoy the Bay and its surrounding waters; and fosters an ethic of environmental stewardship among people who live in or visit the Narragansett Bay region. This year, Save the Bay wanted to utilize new technology in one of their largest fund raising events; the 1.7 mile swim across Narragansett Bay in Rhode Island. For this event, 466 swimmers collected over $300,000 for the Save the Bay organization. Prior to this year, Save the Bay utilized “popsicle sticks” to track swimmers. However, the organizers wanted a more efficient data collection solution to account for all swimmers as well as track times. To meet their requirements, Save the Bay selected ValuTrack Technology Solutions (http://www.valutrack.com/). ValuTrack provides unbiased recommendations, delivers top-notch implementations and services in Auto Identification and Data Collection (AIDC), Networking, and Security. Although Save the Bay had no budget for a solution, ValuTrack felt this organization would enable them to give back to the community and provide goodwill/positive public relations for the geography they serve. For the event, Dave Janelle of ValuTrack created a template wristband with a barcode to identify swimmers and a Wave Number (in color) to help organize the start. In addition, Dave added the ValuTrack logo (in color) to increase the awareness of their company’s contribution to the event. 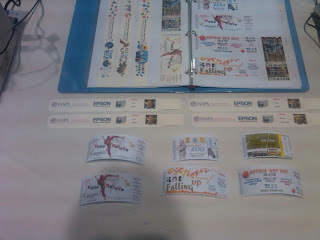 Using the Epson TM-C3400 printer along with wristbands from General Data (www.general-data.com), ValuTrack printed serialized, 11” x 1.25” color, on-demand wristband for each swimmer. Prior to the swim, organizers scanned then placed the wristband on each swimmer; and started swimmers based on the wave color. As the swimmers finished their trek across the bay, organizers scanned the bands again to insure every swimmer reached shore. According to Dave, “Even after some swimmers were in the water for more than 2 hours, there were no scanning issues and no smudges with the bar coded wristbands. They performed flawlessly!”. According to Gretchen Heath, Events Manager for Save the Bay, “The wristbands were well received. People like the idea that next year we will use it for more accurate timing as well. The staff is all on the barcode bandwagon now”. Using the TM-C3400, value added resellers and independent software vendors like you can create color-based solutions easily; providing your customers new processes, saving them time and reducing their costs. If you have recently installed a solution that includes the TM-C3400, please let me know. Boyd Coatings Research Co. manufactures, applies, and distributes custom-developed, high-performance coatings, specializing in the medical, industrial and aerospace markets. For Boyd’s three-part products to work properly, their customers must mix the correct component in order to produce the final coating. For example, component A must be mixed first with component B and then with component C to produce the final coating. Since most customers purchase multiple sets of different 3-part products, Boyd needs an error-proof process to insure the components are mixed correctly. Mixing mistakes are costly and could result in “critical failures”. 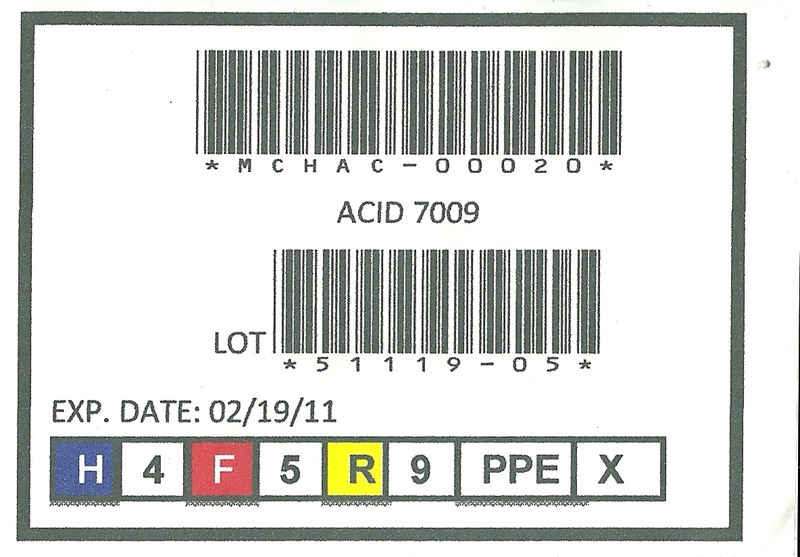 To error-proof their coating application process, Boyd uses color labels and letters to signify a series of coatings, insuring the different components are mixed properly. 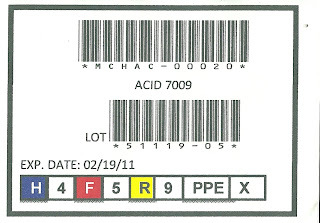 To generate these labels, Boyd was using a color laser printer and store-purchased labels, which required cutting the labels to the desired size. 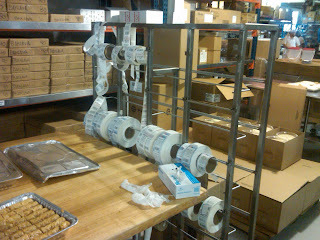 Although the labels worked, the work process was labor intensive. Given the requirements of this process, Boyd searched and found a more efficient solution, the Epson TM-C3400 SecurColor printer. Using the Epson TM-C3400, Boyd produces either 4”x 3” or 4”x 4” labels using the printer to cut to the required size from a continuous roll of media. 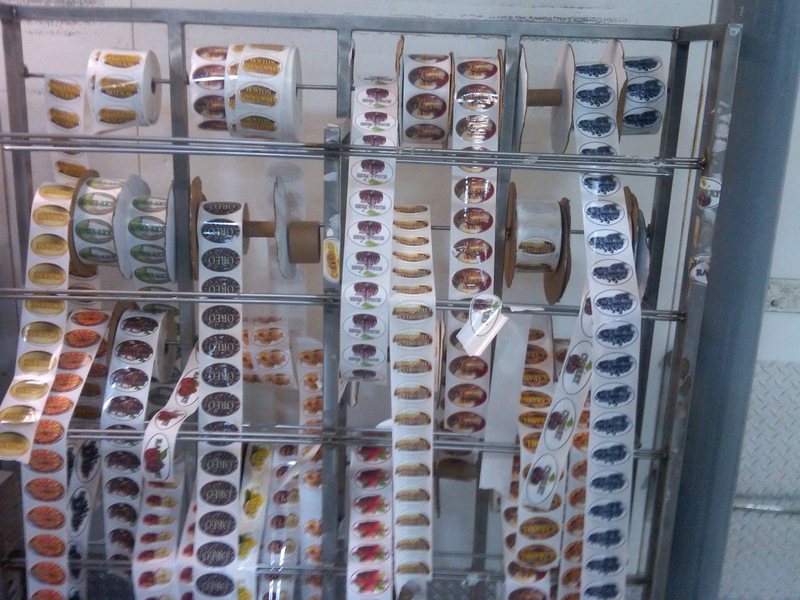 These labels are printed on-demand in the factory and then affixed to the products. This new process was designed and implemented by the Information Technology manager. After getting the appropriate media, the IT Manager says the process “works like a champ!” In addition, the IT Manager says the purchase of a new solution did not require “justification” as the savings were obvious. With the solution implemented by Boyd, three key lessons emerge. First, color labels can be used to convey important information instantly and easily. 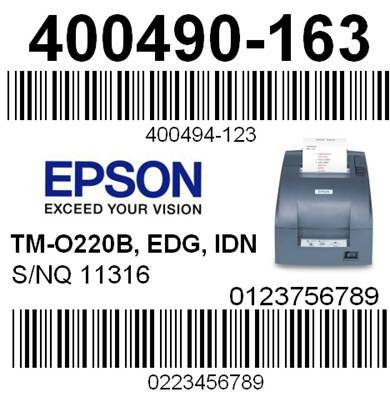 Second, the TM-C3400 makes color labels easy to implement, especially with the built-in cutter. Third, a solution using the TM-C3400 saves labor, time and money for manufacturers. Feel free to contact me to learn more about manufacturing solutions using color labels and the TM-C3400 SecurColor printer. Hardware Breaks--Sometimes. 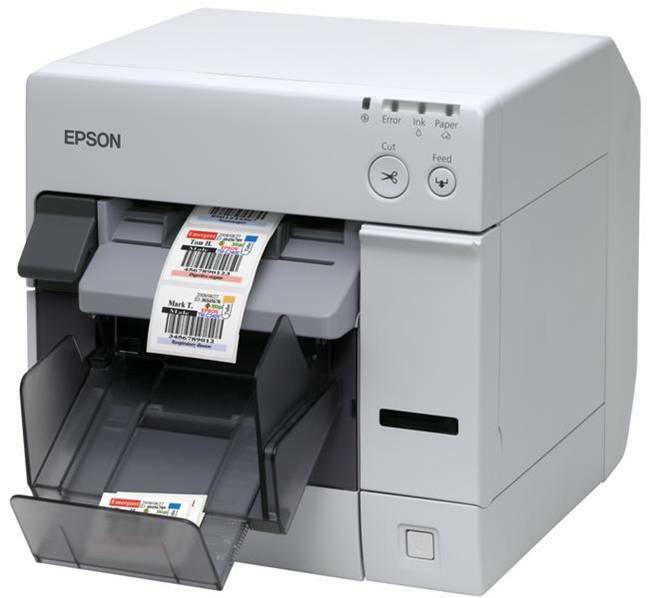 With the Epson TM-C3400 SecurColor Label printer, you can expect to print lots of labels with little to no problems. In fact, I know of one manufacturer who printed more than 400,000 labels on one printer during their first month of operation. Today, however, I spoke to one manufacturing customer who recently started having problems with one of their printers, after printing for several months approximately 100,000 of labels (and using 40 cartridges) per month. It seems one of the sensors required cleaning; more of a cleaning than what they could do themselves. 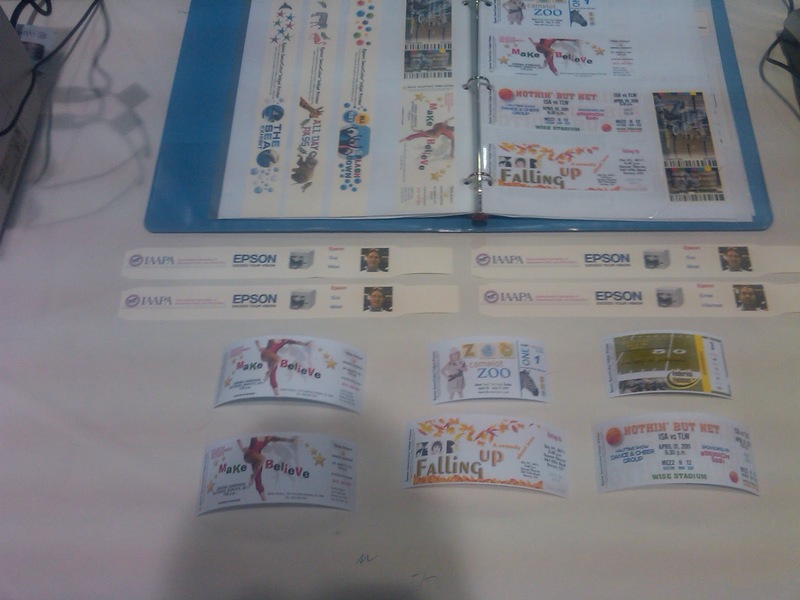 Since hardware does require service sometimes, Epson has two service programs that you should consider selling. First, Epson sells an extended warranty program. With this service offering, your customers get warranty coverage for an additional set of years. 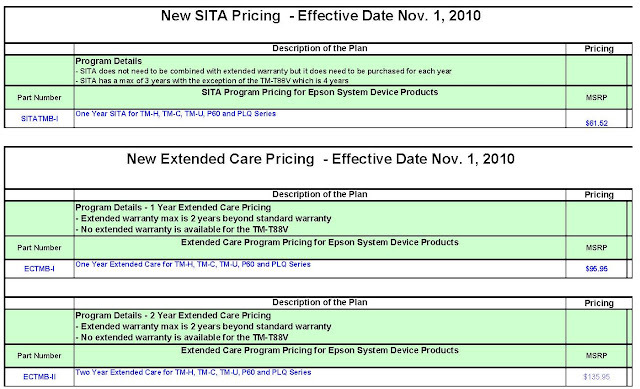 Here is a summary of the extended warranty. 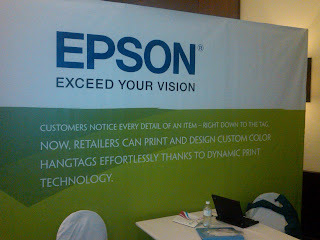 Second, Epson has the Spare-in-the-Air Service (SITA) program. With this service offering, your customers get a printer shipped to them next day if they have a service issue. Here is the summary of the SITA program. If the manufacturing customer I spoke to today had purchased the SITA service offering, he would have received a replacement printer tomorrow; making him a very happy and satisfied customer. Be sure to add these service offerings to your quotes! And finally, think about the profitability of adding customers like this small manufacturer who consumes 100,000 labels and 40 ink cartridges a month. 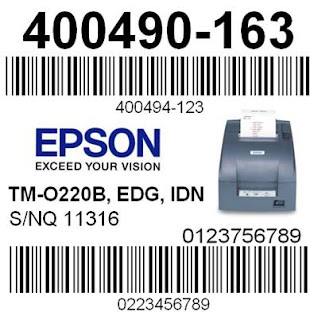 Tens of thousands of companies with lots of SKU's like this manufacturer exist; we just have to find, tell and sell them on the Epson TM-C3400 SecurColor. Let me know how I can help. Perrywinkle’s Fine Jewelry (http://www.perrywinkles.com/about-us/custom-design) designs and manufactures jewelry that is specifically made to fulfill the individual aspirations and criteria of each of their customers. Each jewelry piece, handcrafted in their manufacturing facility, is a unique creation that reflects their uncompromising commitment to quality, using the finest gemstones and precious -metals. To improve the efficiency of the manufacturing facility, Perrywinkle’s developed a job routing and tracking solution to replace their existing paper-based system. Given the complexity of their unique, made-to-order manufacturing process, it was a constant challenge to maintain maximum visibility of each job as it passed through the various stages of production, creating numerous delays and backlogs. For Perrywinkle’s, real time job tracking is critical as any single job may require up to 10 or more routings to multiple work stations with the possibility of up to 3 simultaneous routings for a single job at any given time.(i.e. Design-for computer-aided design, Purchasing-for purchasing of parts; and Casting-for wax models). David Jenkins, Systems Developer, built the solution using a database and the TM-C3400 SecurColor printer. 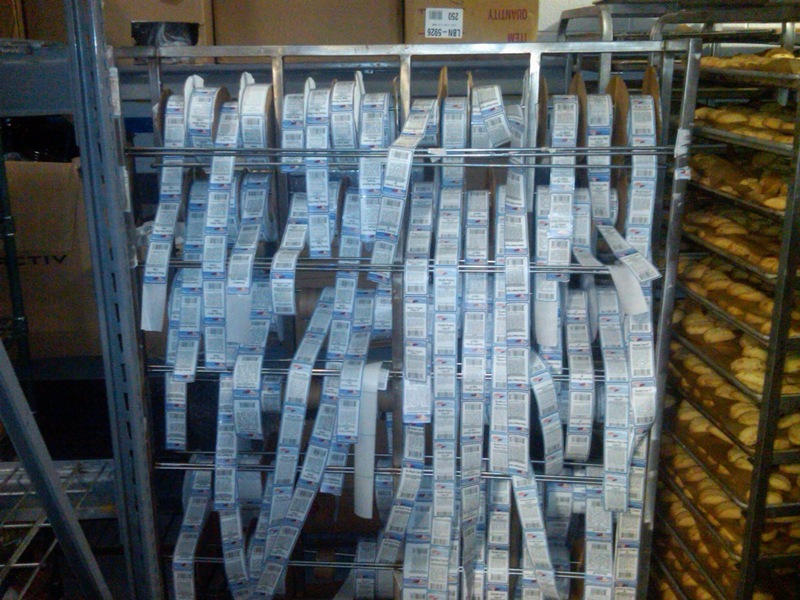 This solution enables Perrywinkle’s to not only track jobs with up-to-date printed information, but also route jobs to multiple work stations based on color coding. The durability and width of the paper as well as text and color output quality was a major factor in choosing this particular unit over less expensive thermal receipt/label printers.